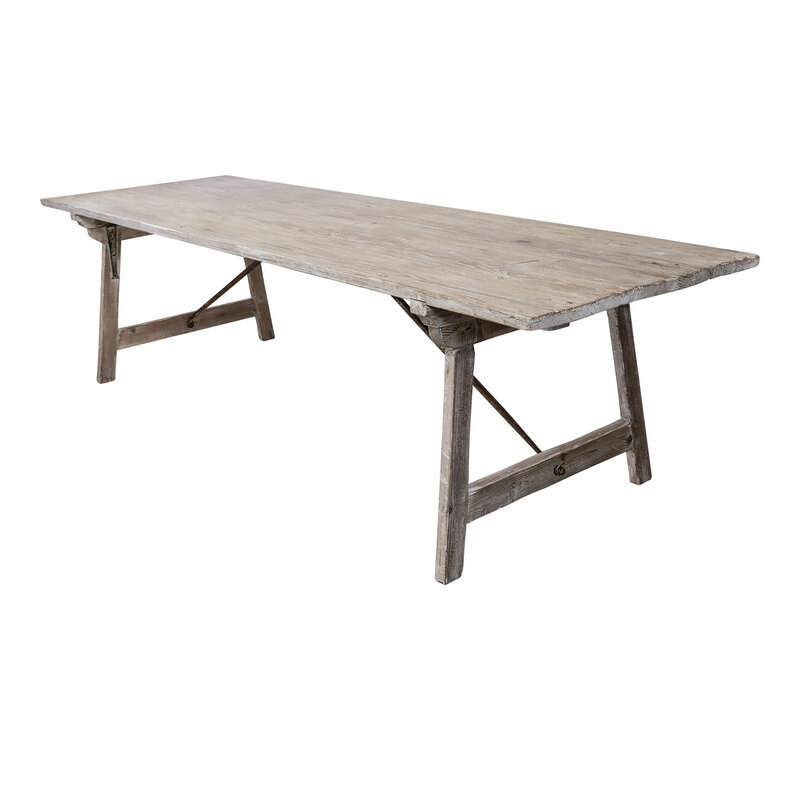 Long painted pine trestle table create from antique planks. 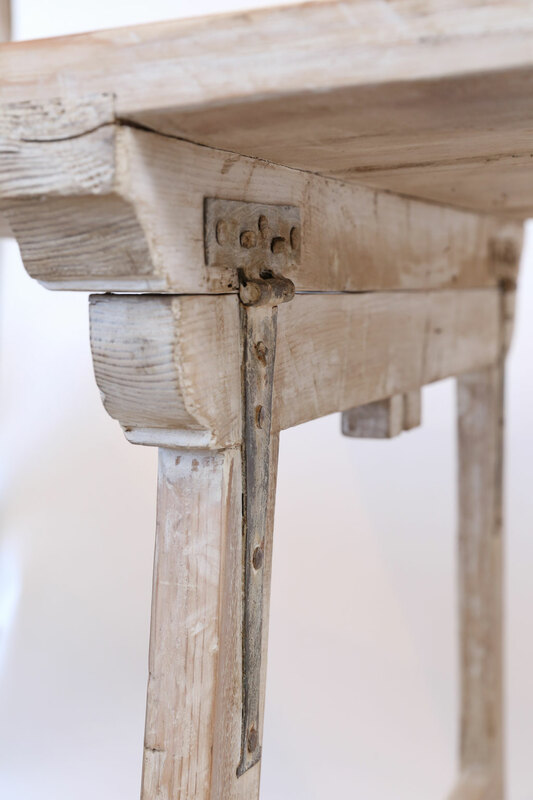 Steel hinges and iron trestle allows table to collapse flat for storage. 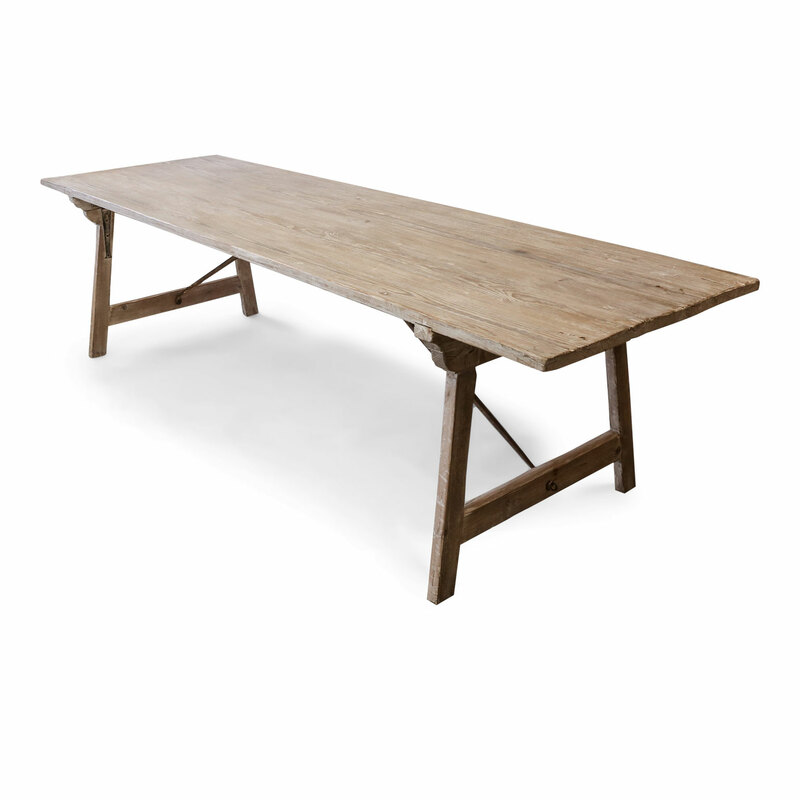 Condition: GoodNewly constructed dining table from antique pine planks. 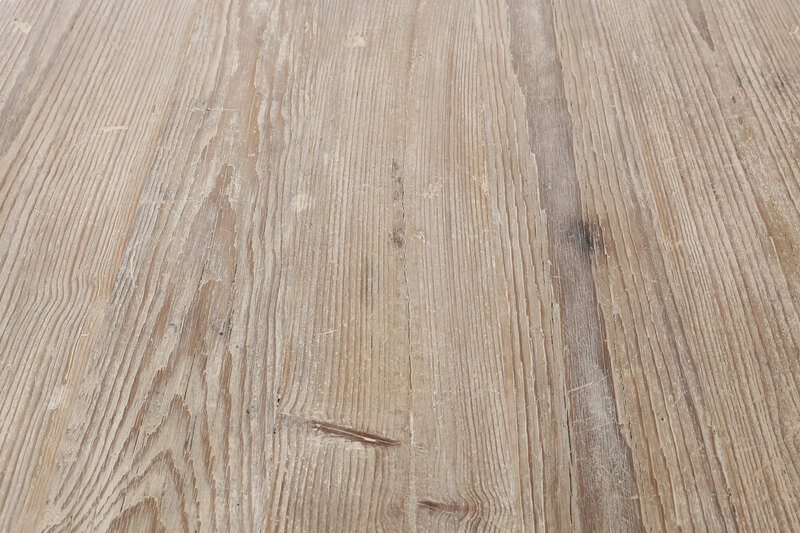 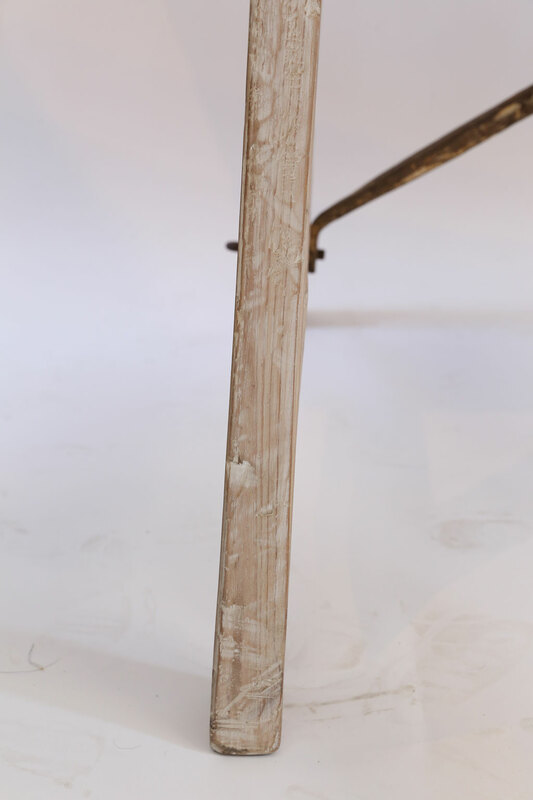 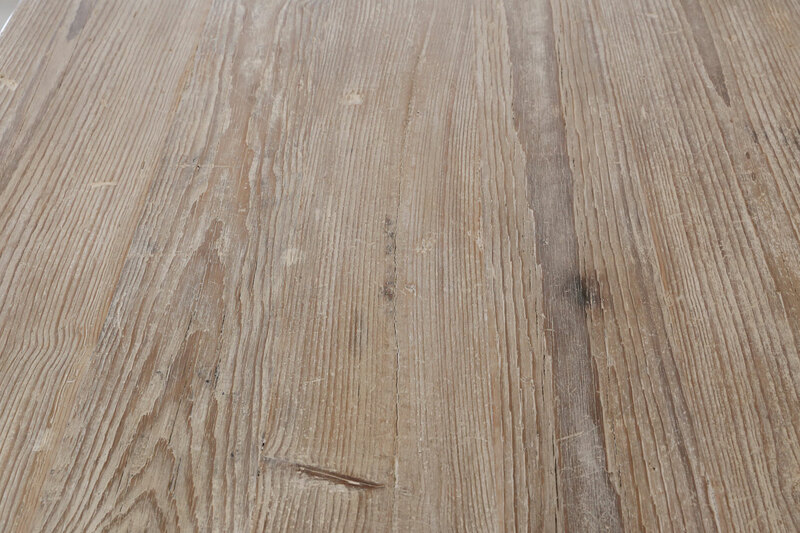 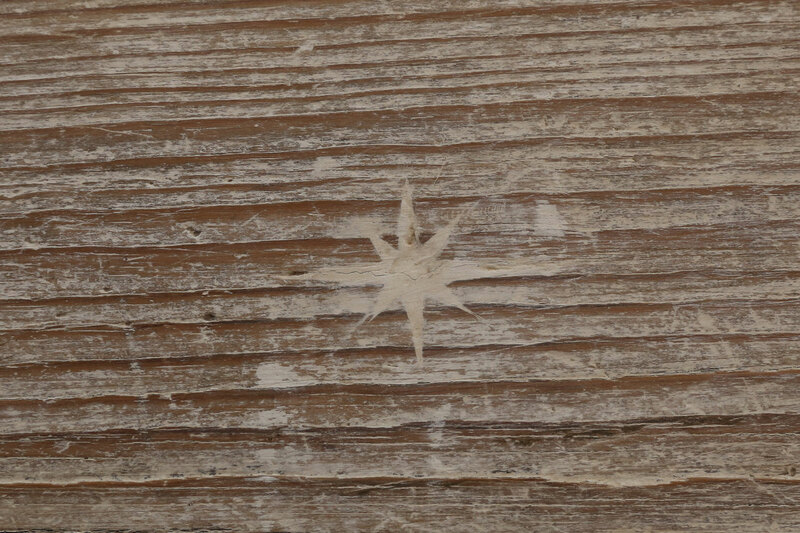 Signs of wear on wood surface. 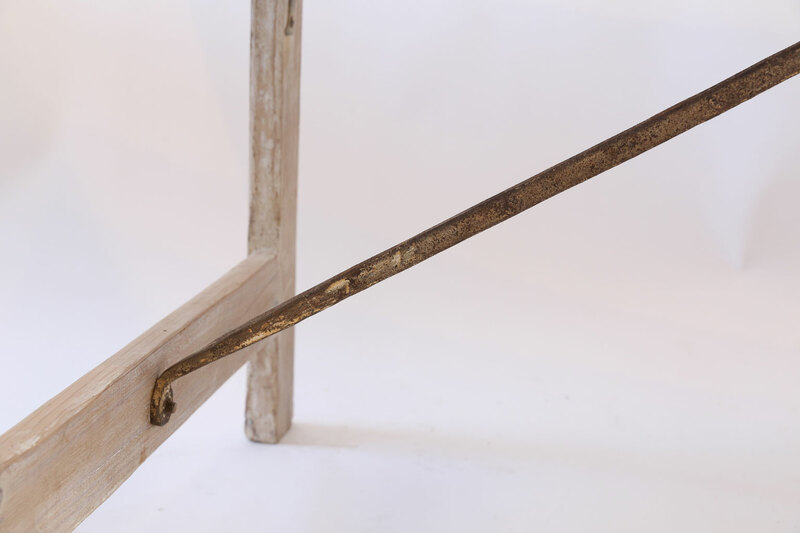 Distressed metal (steel and iron) hardware. 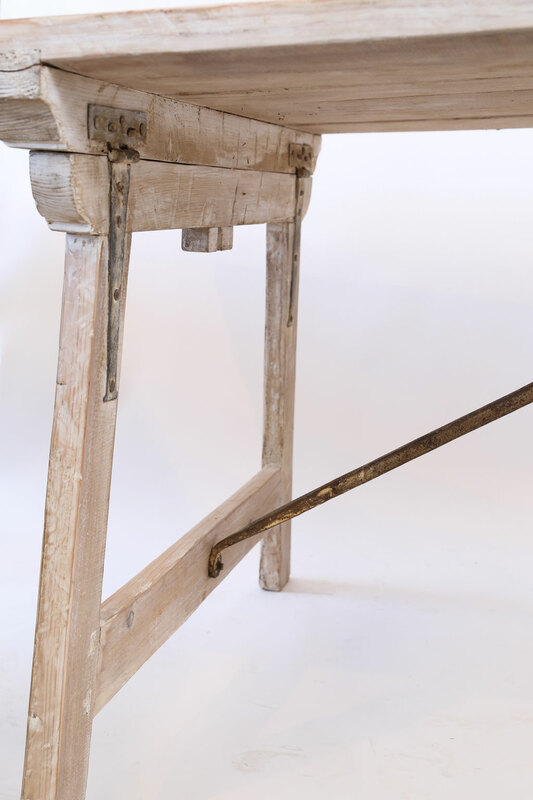 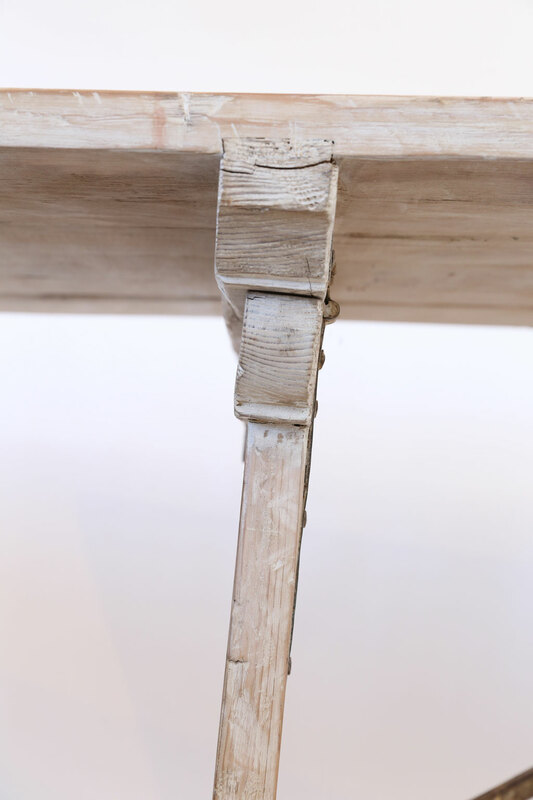 Trestle mechanism allows table to collapse flat for storage. 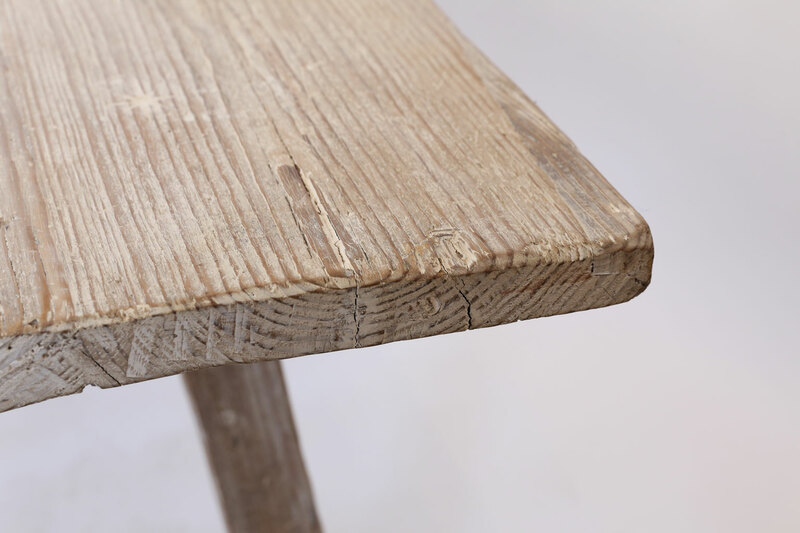 Materials: Pine, steel and iron.